In the afternoon of September 21, the conference of Sino-British joint project of dual degree and overseas exchange was held in the lecture hall of Design Building in the Fine Arts Academy. 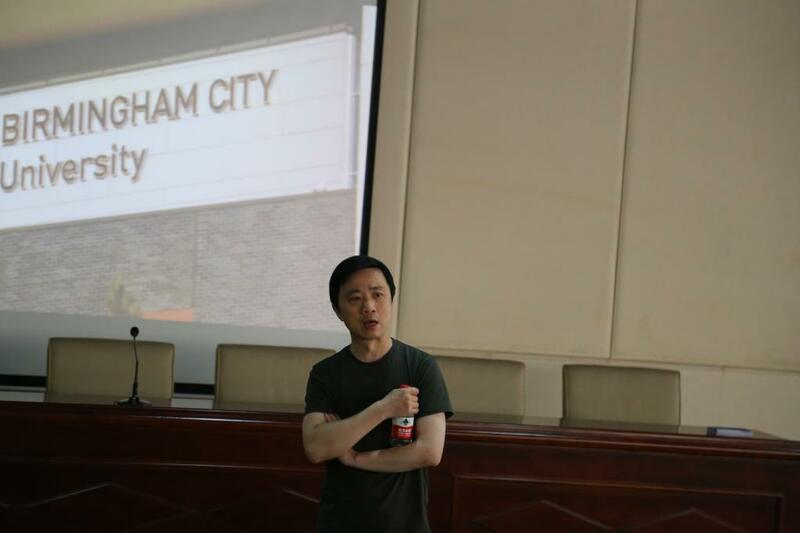 Jiang Jiehong, the professor of Birmingham City University, was the keynote speaker. Li Puxing, the deputy dean of the Fine Arts Academy, presided over the conference. At the beginning of the conference, Li Puxing discussed what was a talent and how to cultivate talents. He analyzed the current social situation and explained the reasons for launching the talent training plan with developed countries. Besides, Li Puxing briefed the students on the two major cooperation projects---the short-term exchange program and the joint-degree program for post-graduates. Jiang Jiehong, taking “the vision of east and west” as the key point, introduced the internal structure, distribution of colleges and majors in BCU. 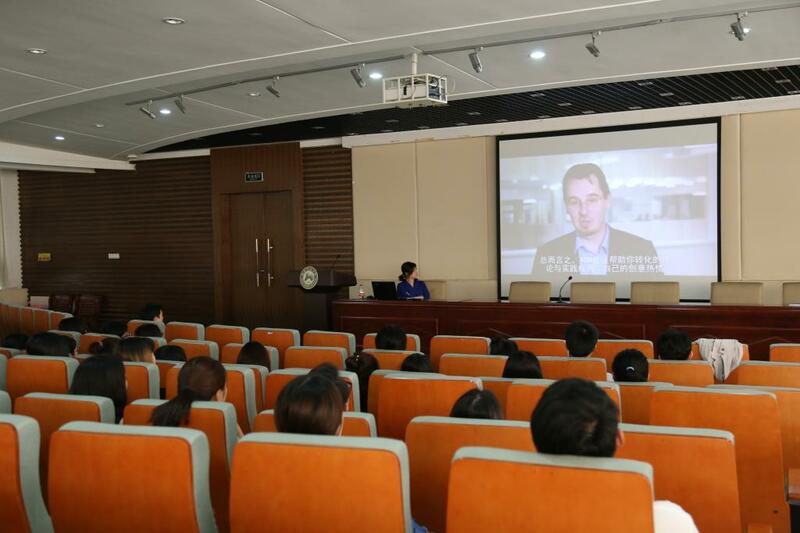 He also presented the learning style,facility and scholarship system of BCU through video. During the question-and-answer session, Jiang Jiehong answered in detail questions for students such as economic consumption, specialty direction and employment situation. Leng Jian, as the representative of BCU, gave more information about application schedule and admission requirement. It is said that Hunan Normal University will selects outstanding students every year to take a joint training in BSU since 2016, for speed up the internationalization of advanced education of art and design, improve students’ ability of international communication and boost interuniversity academic exchanges. These students will have an overseas study for one or half a year with credits recognized by both universities. After finished the study programs made by both universities and got full credits, qualified students of joint-degree program can obtain master’s degree from HNU and BCU. Students also can apply for the special program launched by China Scholarship Council, which aims at training art talents.